My family loves pies , tarts and quiches . Savoury or sweet they love them :) I have tried out many types of crust for chicken pie but this one with caramelized onions turned out to be a winner. I love the aroma of caramelized onion in the pie crust….it is something so different from those classic ones :) It is so easy to make…and I know for sure I will use this crust again and again :) I used this crust once for my mango chutney pie and it became a favorite . For this time, I filled it with chicken and mushroom filling…whoa it was a perfect match and every mouthful turned out to be so yummy good…. 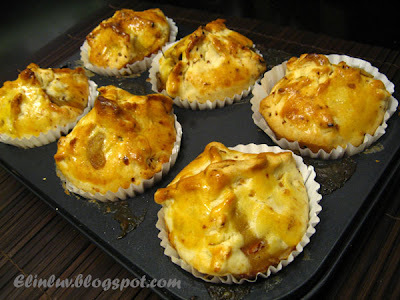 you have to try this one out….you will be mesmerized by the sweet aroma of caramelized onions. 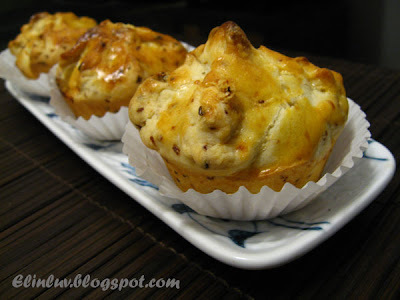 The pastry is really good and will be great for the coming CNY tea snacks. It can be prepared a day before.